As the title (vaguely) suggests, Tenjou Tenge - The Past Chapter is a 92-minute summary of the "Flashback Arc" in Tenjou Tenge. And as such, there is no new content like new fights and characters. To cut back the time, a lot of conversations have been skipped. I don't know how this is for newcomers to the series (I have watched all the episodes), but I can imagine it not making a 100% sense. There has been no quality improvement compared to the series and OVA. All in all, I suggest not watching this before you watch the series. Also, watching it right after having watched the series is quite pointless. 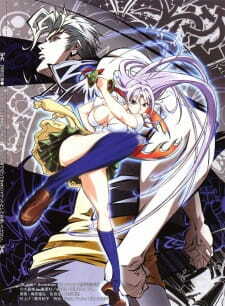 The way I watched it, after a long time of no Tenjou Tenge, is probably the best. The score you would give this arc in the series apply for this movie. If you end up watching this, enjoy.